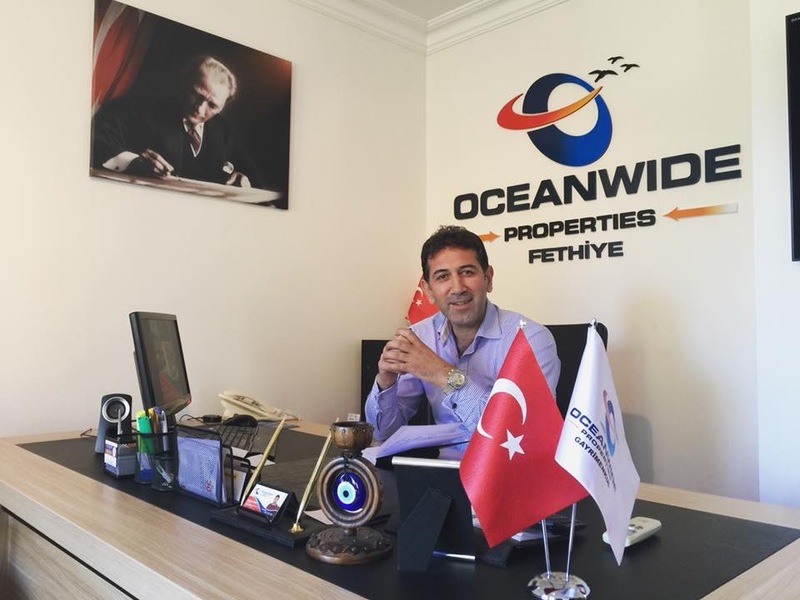 Local estate agent, Süleyman Akbay, owner of Oceanwide Properties is a business man with a difference. 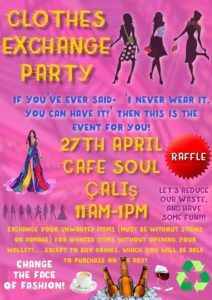 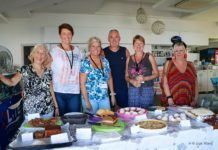 He absolutely loves getting involved with local charities, environmental projects and generally being involved in activities that benefit the community. 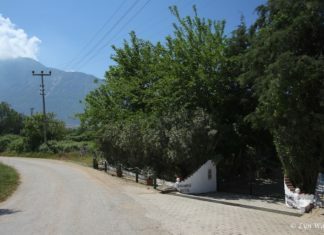 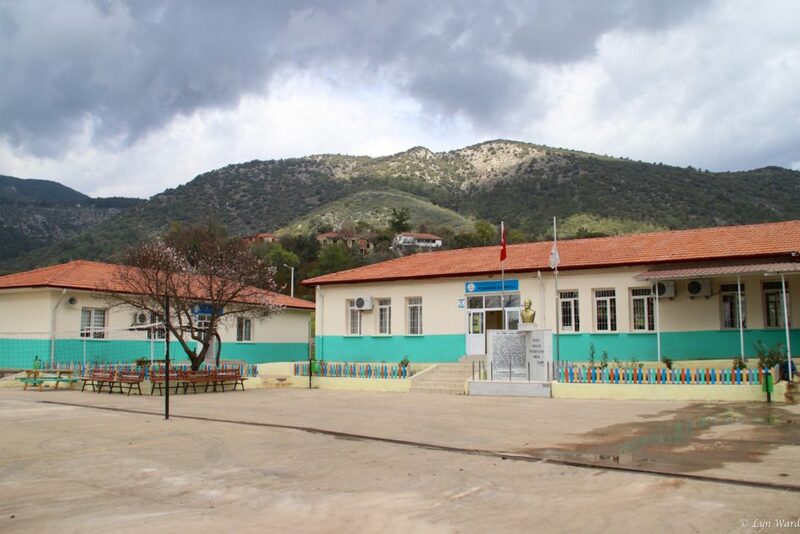 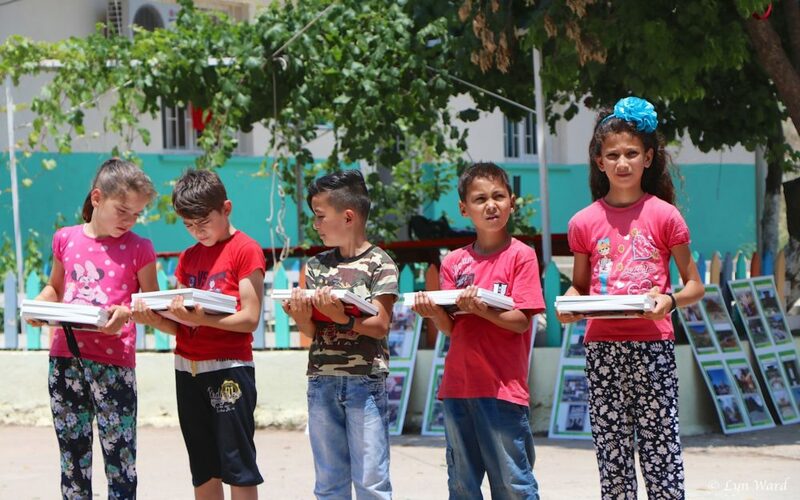 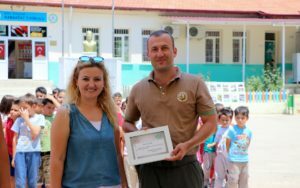 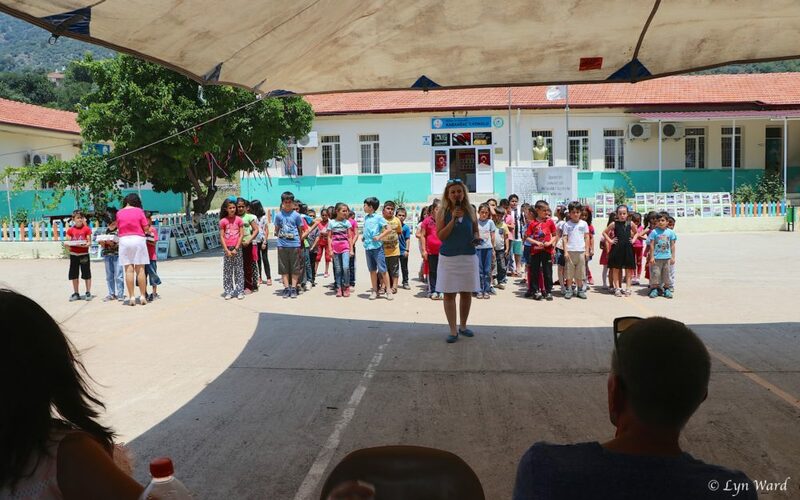 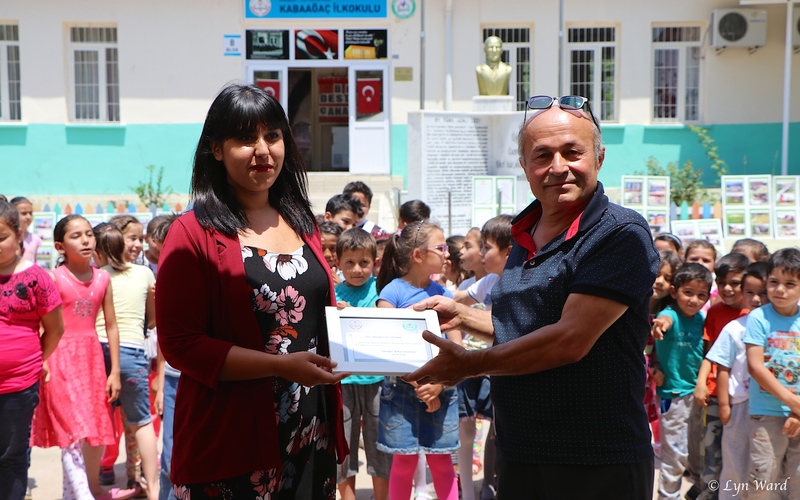 One such project has recently taken place at Kabaağaç Primary School near Seydikemer. 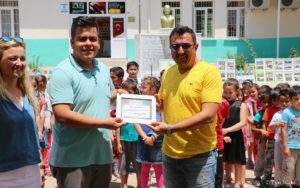 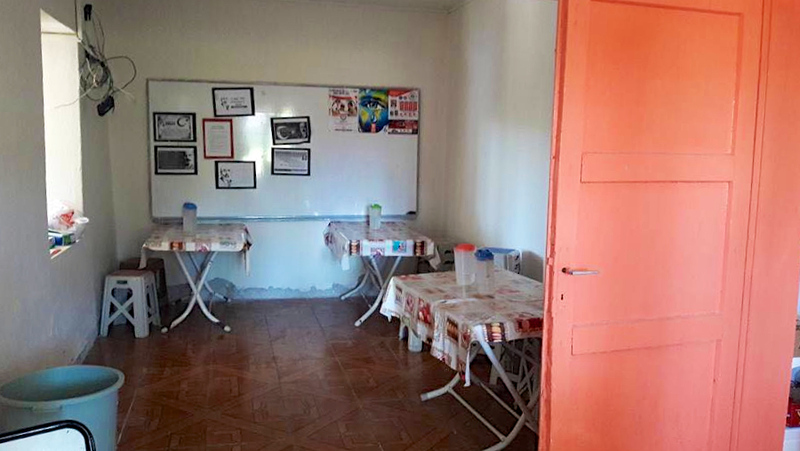 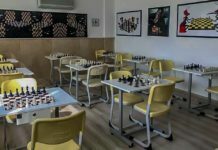 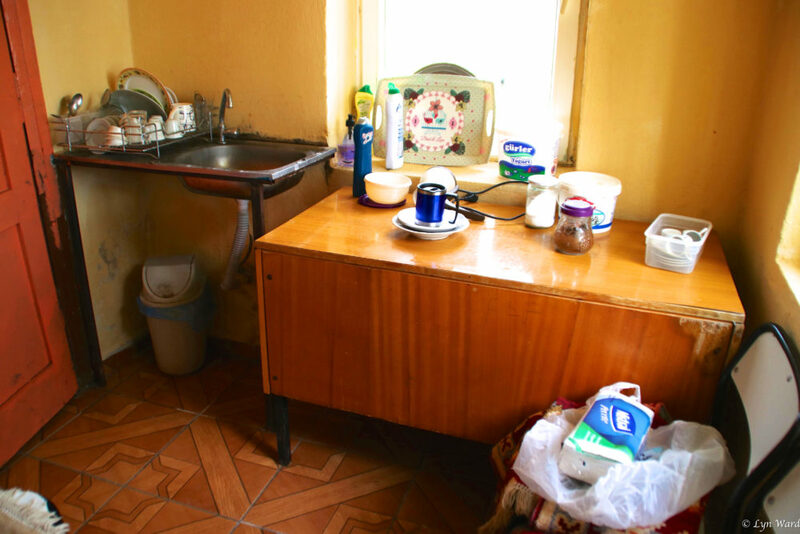 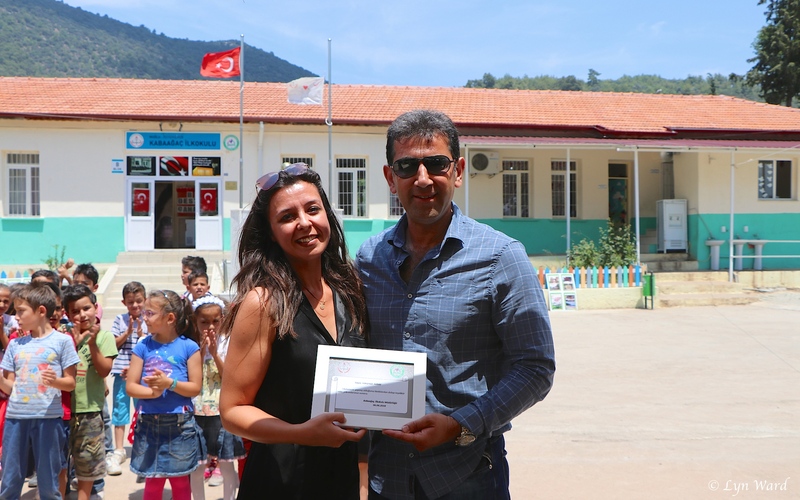 When it came to Süleyman’s attention that the kitchen and dining area in the school was desperately in need of refurbishment, he set out to do something to help them. 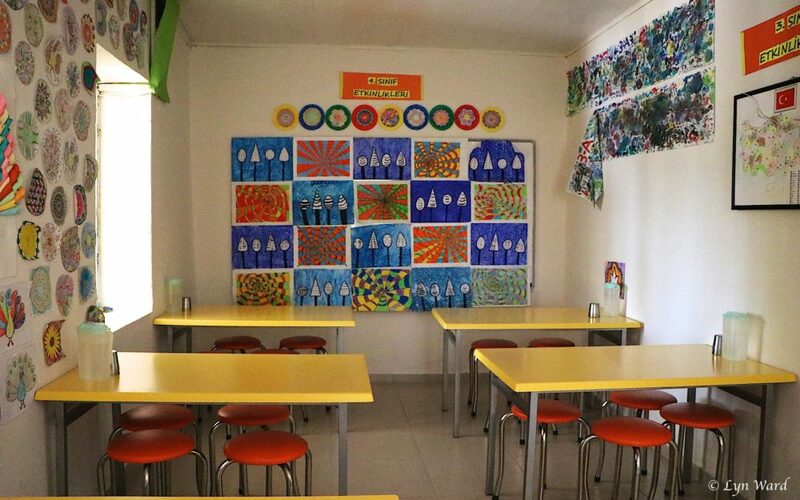 The school has worked very hard over the last two years to upgrade and refurbish the classrooms with the help of an ex-pupil and families from the local community however, they had completely run out of funds for the dining area and kitchen. 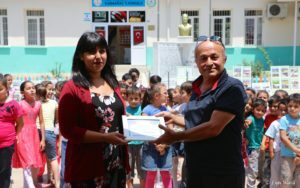 Süleyman visited the school to see for himself and came away even more determined to help when he saw the condition the of the kitchen area in particular. 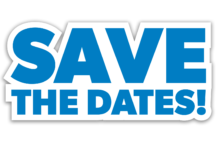 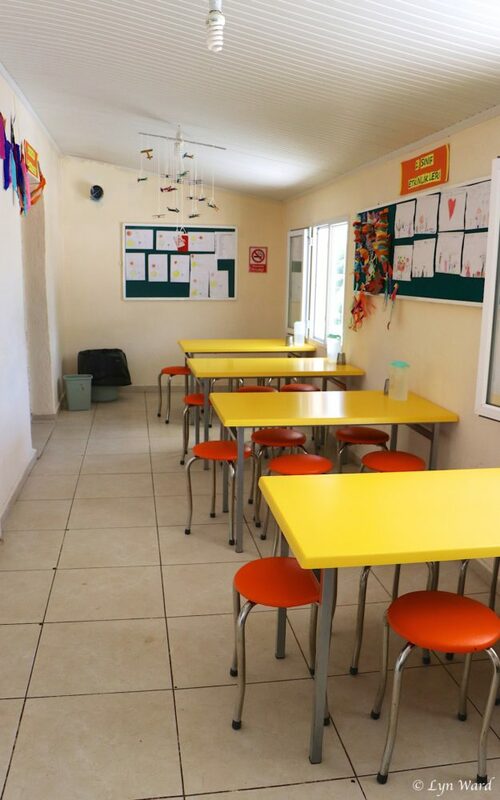 The school provided a list of what was needed; a completely new kitchen, new doors, replacement ceramic flooring, dining tables and stools and storage shelves. 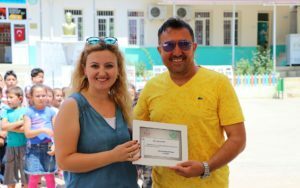 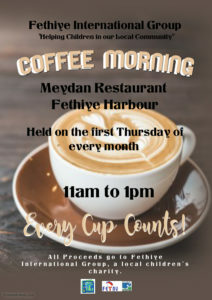 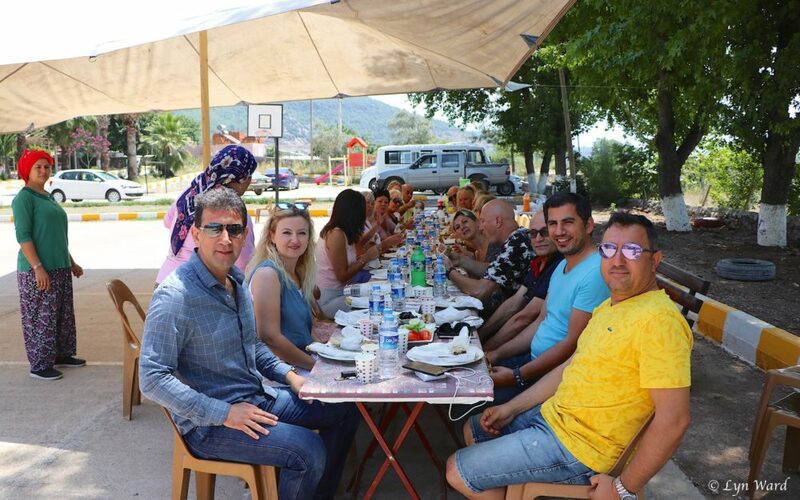 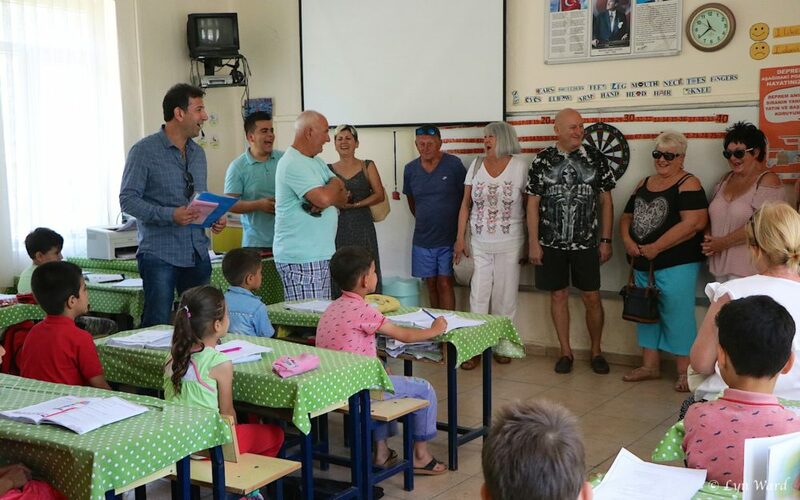 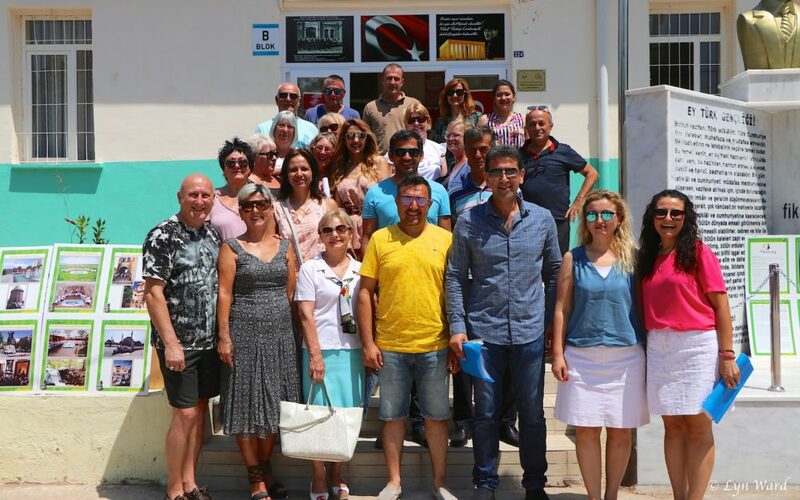 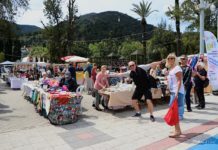 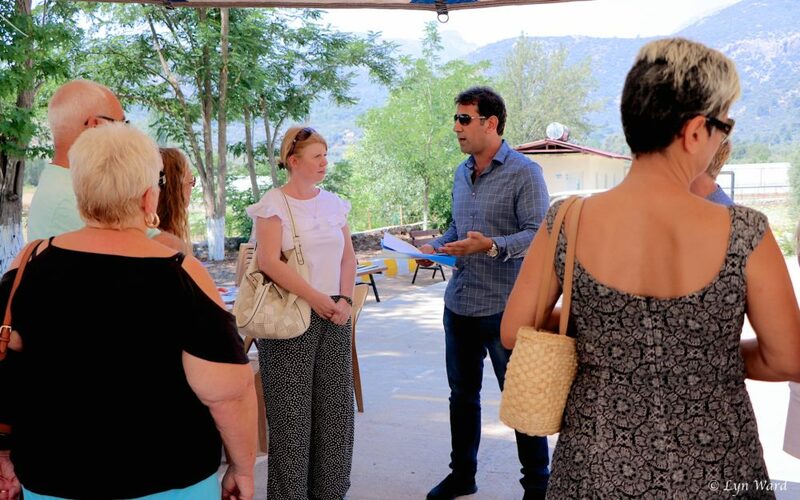 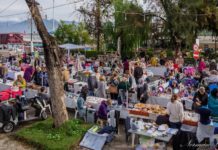 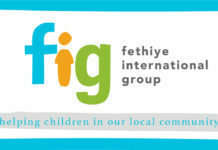 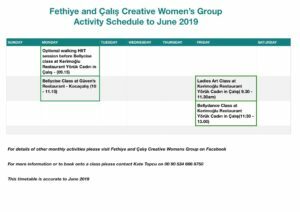 Süleyman then contacted local tradesmen and suppliers for quotes for the work and equipment and enlist the help of friends, colleagues and local children’s charity, Fethiye International Group (FIG) for donations to help to pay for the refurbishment. 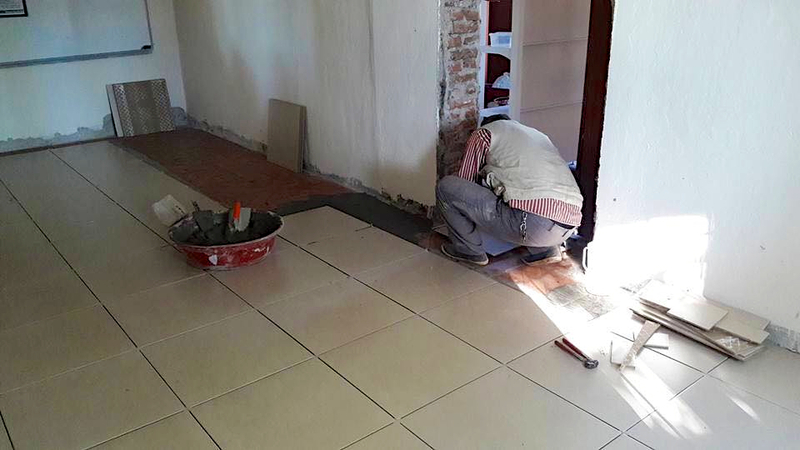 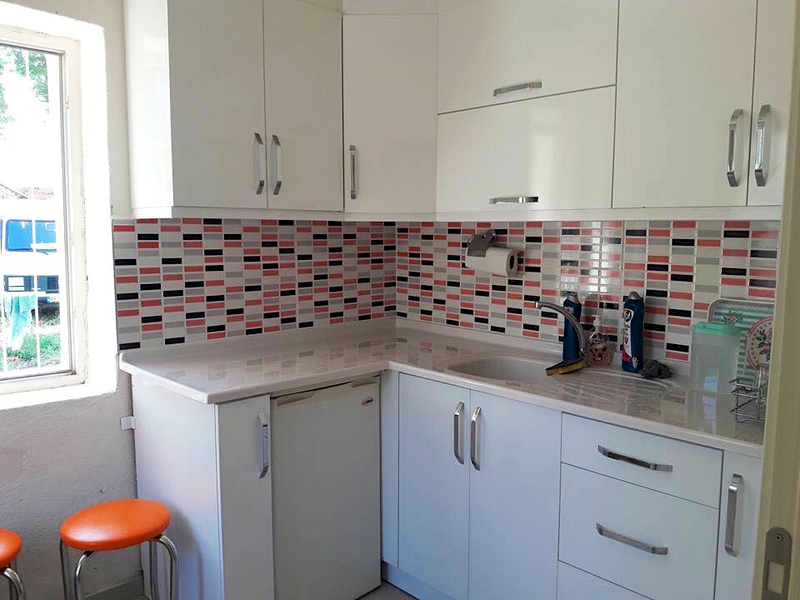 Local tradesmen went in to carry out the work, the layout was redesigned, Süleyman sourced the new furniture and equipment and a wonderful new kitchen and dining area emerged in place of the old. 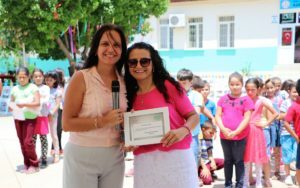 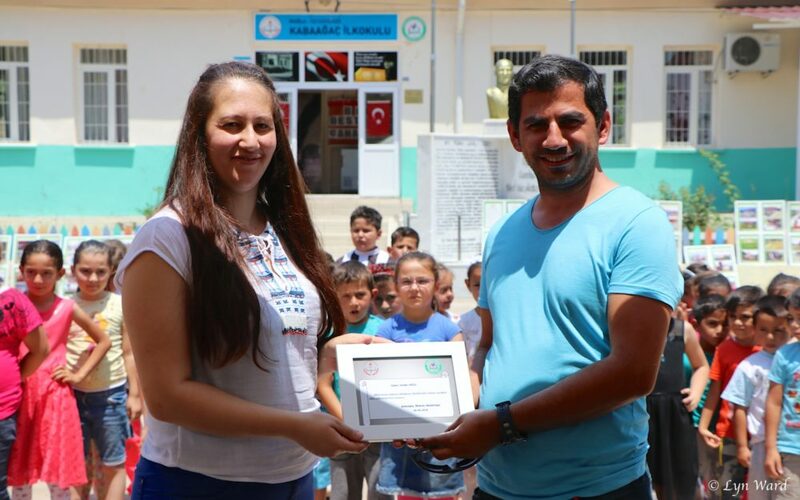 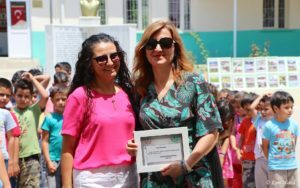 On Wednesday last week Süleyman and the head teacher, Yeldağ Leblebici, invited everyone who had donated to the project to an event at the school to show them around the school and the new areas and thank them for their support. 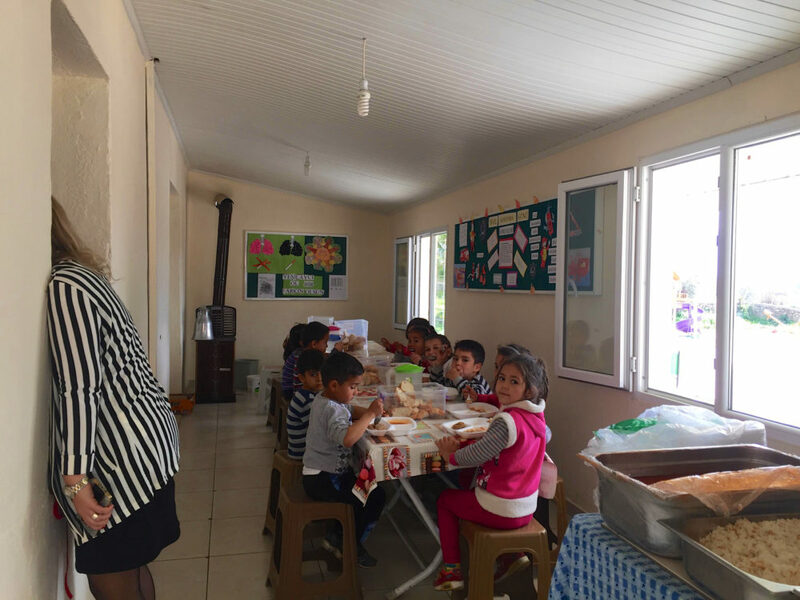 A delicious breakfast was served – Afiyet olsun! 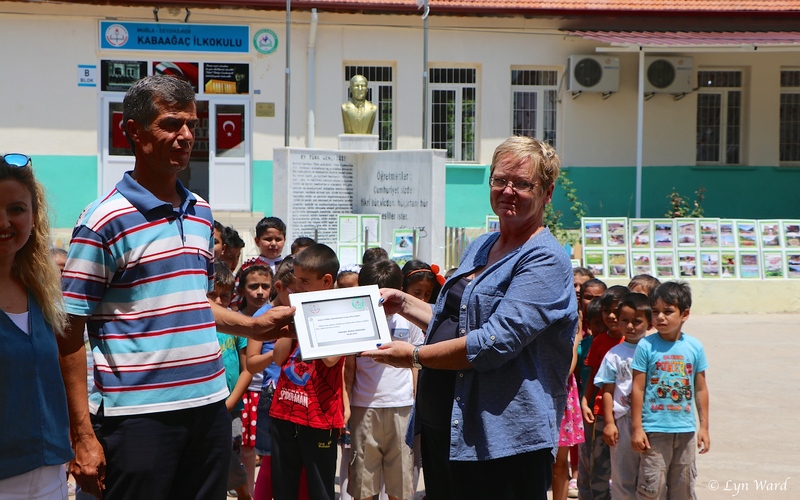 The day was finished off with presentations of certificates as a thank you from the school. 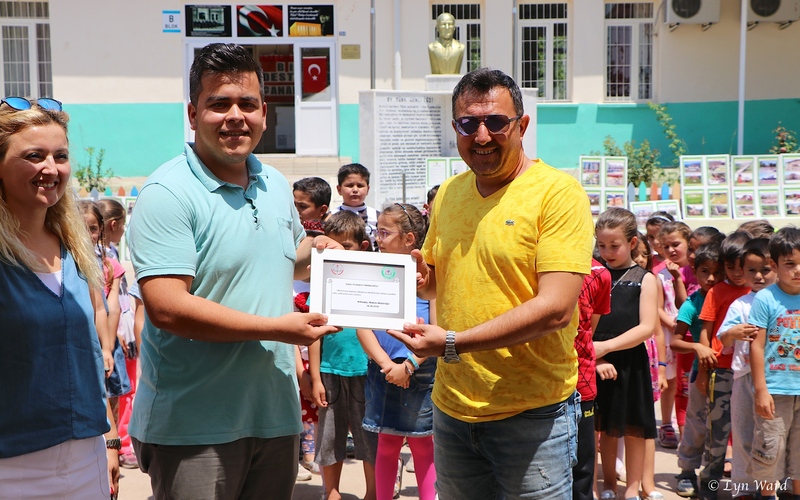 The project also provided the school with a microphone, loudspeakers with sound system, laminating machine, printer and edging stones* to finish off the garden area. A special Commemorative plaque was awarded to Süleyman for making the project happen.